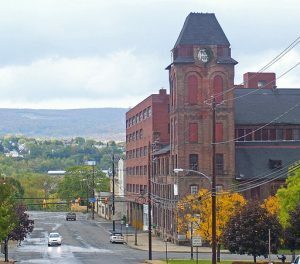 Located in Scranton, Boyle Eye Specialists has been serving Pennsylvania's Lackawanna County area for more than 10 years - with many patients taking the short drive from neighboring cities including Dunmore, Pittston, Taylor, Clark, Summit, Throop, Carbondale, and Old Forge. Check out our hours, map, and contact details – then make an appointment with our eye doctor – or drop by our office on 3 W Olive St anytime to browse through our large selection of designer eyeglass frames and sunglasses. Our office will be closing at 4:30 PM on Tuesday, March 26, 2019. We will be open from 8:00 AM to 4:30 PM on Thursday, April 11th, 2019.